There are books on nothing but knots, but since I have only 30 seconds, I have one - the Palomar - which I sometimes get confused and call the Pamelor. Up to you: knot named after an antiquated telescope on a California mountain or one of the most effective anti-depressants ever invented. It certainly makes my fishing stress-free. 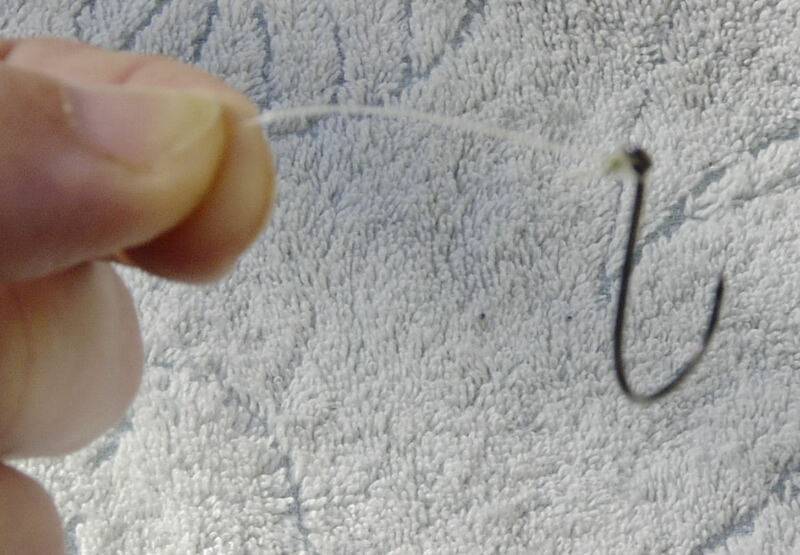 First, form a bight (fold the line over itself), or if the hook eye is very small, thread the line through and then, keeping a large loop, thread it back again. Do an overhand knot, like the very first thing you do when tying your shoes. Take the loop that is coming through towards you - this is the important part - OVER the hook. Now tighten both parts. It's not a pretty knot, but it works. Just clip off the extra, from about 1/4".